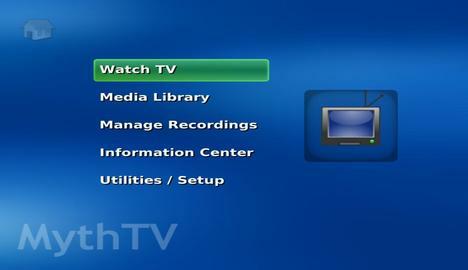 MythTV, the Digital Video Recorder and home media center has reached a new stable release 0.27. Now it features Airplay photo sharing. This tutorial shows what’s new and how to get it in Ubuntu 13.04 Raring, Ubuntu 12.04 Precise and Ubuntu 13.10 Saucy. Remove the Timeslot and Weekslot recording rule types. Remove the Channel Record recording rule type. Add a This channel filter to maintain that functionality. Automatically convert existing Channel Record rules to All Record rules with the This channel filter enabled. Provide accurate position/duration/seeking with non-constant frame rates. Note that to get the benefit of these changes for preexisting recordings, it may be necessary to run “mythcommflag –rebuild” on affected recordings. Remove redundant “All Programs – ” text in Watch Recordings screen. Improve the group filter display on the Watch Recordings screen. Default to local time for mythshutdown --setwakeup, use --utc if required. As promised in the 0.26 Release Notes, the legacy CEA-608 teletext (not closed-captioning) support has been removed. The Reschedule higher priorities setting has been removed. The scheduler now always does this. Use recording rule priority as the primary scheduling priority. The Delete Recordings screen has been removed. Change the ADJUSTSTRETCH action to also support toggling. In mythtv-setup/Capture cards, some Card type: names have been changed/corrected. The list was also reordered. After that, you can read this Ubuntu Document to install / setup MythTV on your system.